Bollywood divas Karisma Kapoor and Kareena Kapoor have been the darling daughters to their parents Randhir Kapoor and Babita Kapoor. Father Randhir will be turning 71 years old on February 15, 2018 and daughters Bebo and Lolo have planned a bash to celebrate the special day. 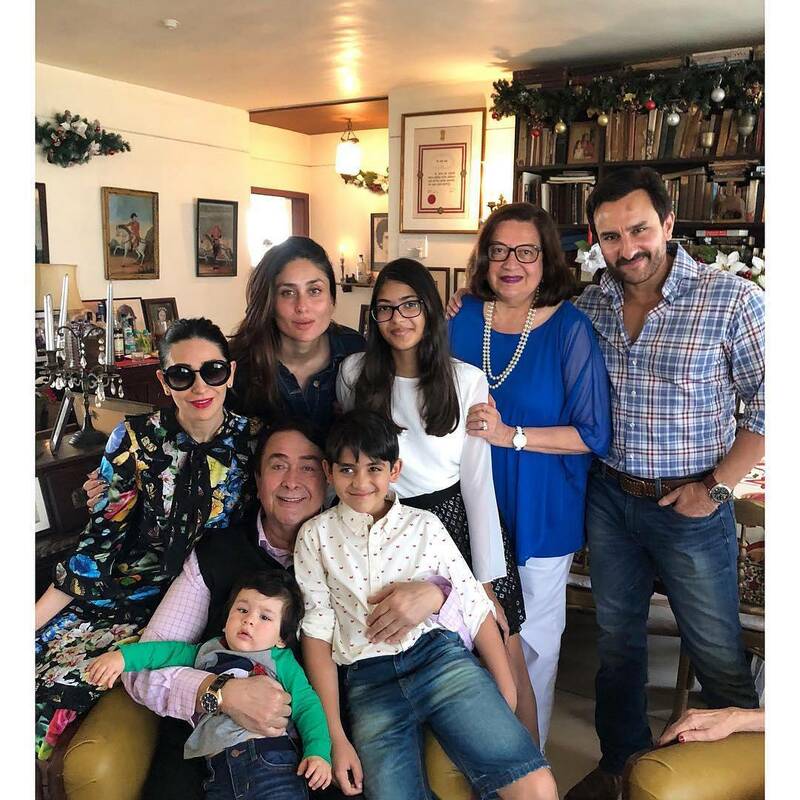 The Kapoor family celebrated the 50th birthday with a grand bash that was attended by all the family members and close friends. For this year’s bash, Kareena, Karisma and mother Babita will be the in charge. It has been a custom for Kareena and Karisma to play the host with mother Babita Kapoor. The guest list will include most of the members of the Kapoor family including Neetu Kapoor, Rishi Kapoor, Krishna Raj Kapoor, Rajiv Kapoor, Rima Jain and others. Kareena’s husband Saif Ali Khan will also be a part of the bash. The one who might miss the event will be Ranbir Kapoor, as he in Bulgaria shooting for Ayan Mukherji’s Brahmastra which also stars Alia Bhatt and Mouni Roy. Randhir Kapoor, recently spoke about his grandson Taimur Ali Khan and said, “Taimur is now seven months old and ever since he was born, I visit Kareena more often than I used to earlier. I love spending time with my grandkids, and Taimur is the youngest, so everyone is so fond of him. He is not cranky, but a bit naughty and, yeah, smart, too.” Mother Kareena is also busy shooting for the upcoming film Veere Di Wedding.